Dentures are a removable prosthesis to replace missing teeth, giving you a beautiful smile that you can feel confident about. Dentures can be partial, filling gaps in the teeth, or can be a complete set. A well balanced denture can allow you to speak, eat and function properly. Most people associate dentures with the older generation, but dentures can also be provided to anyone with missing teeth. Using the latest techniques we are highly skilled in providing custom fitting dentures for your mouth, whilst ensursing maximum aesthetics, function and comfort. Ultimately, giving you a confident, natural smile. Dentures need proper care and attention, just like your normal teeth do. We will spend time advising you how to clean and care for your new teeth which will prolong the life of your dentures. Over a period of time, your jaw and gums ‘shrink’, which is why it is very important to have regular check ups to ensure the optimum fit of your dentures. Denture fabrication requires specialist knowledge in the aesthetics of the face and understanding the anatomy and appearance of natural teeth. Initial Consultation – We will discuss your current situation and discuss the various options available. Impressions – Impressions of the mouth will be taken to be sent to the laboratory to begin the construction of your new dentures. 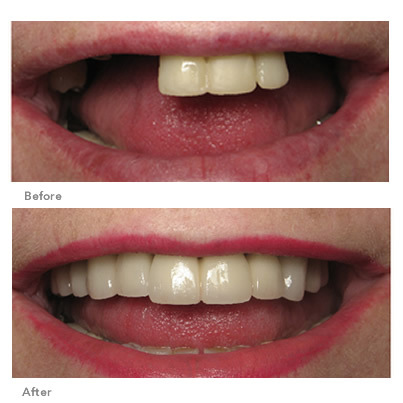 Fitting – Your dentures are placed in your mouth ensuring that you are completely happy with the appearance and fit. Review – A review will take place after a few weeks to ensure everything is running smoothly. 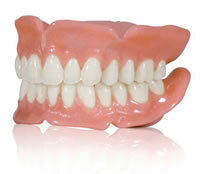 ADVICE- We only use high quality bespoke ‘low wear composite’ denture teeth for optimum chewing efficiency. For further information on Dentures and to book your appointment contact us now.